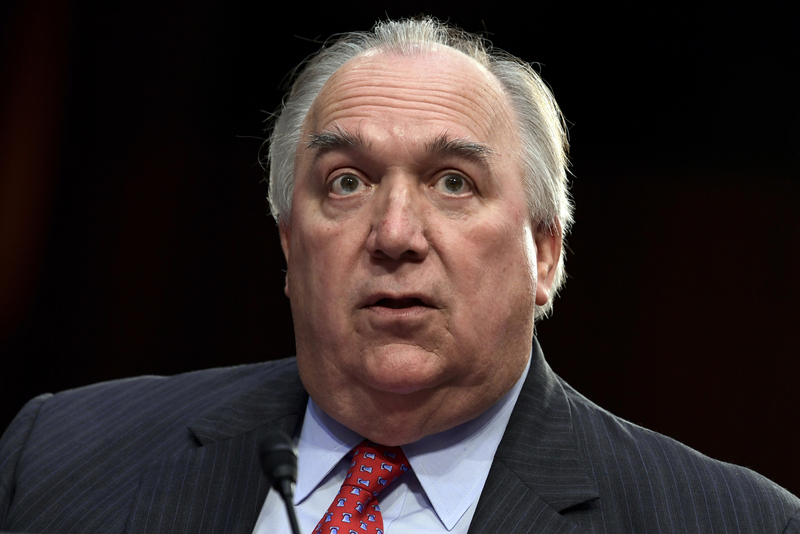 EAST LANSING, Mich. — Michigan State University’s Board of Trustees said today that interim president John Engler’s resignation is effective immediately. The board acted a day after Engler said he’d step down next week amid fallout from remarks he made about some victims of former sports doctor and convicted sexual abuser Larry Nassar. When the board chairwoman announced during a special meeting that the resignation would be immediate, the crowd broke into loud applause. “It has been an honor to serve my beloved university,” wrote Engler, who was in Texas attending a burial service for his late father-in-law. Engler joins a long list of people — including his predecessor as president — who have been fired, forced out of their jobs or charged with crimes amid fallout from the school’s handling of the once-renowned sports physician stretching back decades. Byrum, who became chairwoman of the trustees board last week, stopped short of confirming Wednesday that she asked Engler to resign. But she told the AP he had “a decision to make” because the board was poised to name a new interim leader at the meeting. Both Byrum and Mosallam are Democrats, and Engler is a Republican. Brian Mosallam, a long-time Engler critic, said on Twitter on Wednesday that “JOHN ENGLER’S REIGN OF TERROR IS OVER.” He told the AP the board had enough votes to force Engler out during Thursday’s special meeting at the school in East Lansing. In April, Engler told another university official in emails that Rachael Denhollander, the first woman to go public with accusations about Nassar, was probably getting a “kickback” from her attorney.